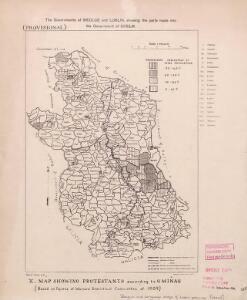 Description: Religion and language maps of Lublin province, Poland. Map showing Protestants according to gminas. Based on figures of Warsaw Statistical Committee of 1909.